KCCA FC arrived Thursday night in Bukedi ahead of their Uganda Cup finals match against Vipers SC this Saturday. 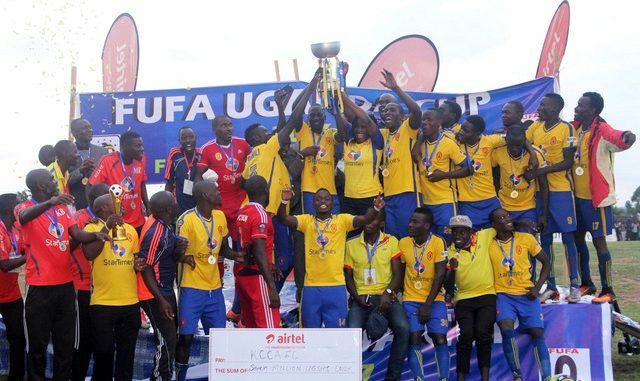 The Kasasiro Boys who eliminated lower division side Synergy will be fancying their chances of winning a second consecutive Uganda Cup crown after defeating Paidha Black Angles 2-0 in the 2017 final. Speaking this morning, KCCA FC PR, Magero Moses talked about the clubs activities in Bukedi since yesterday. “We arrived in Bukedi yesterday safe and sound, this is where we are going to play the final of the Uganda Cup on Saturday, said Magero. “Upon arrival, we had a light training session that lasted for about an hour at the Emokori playground from around 06:00pm to 7. “On Friday, the team will conduct its last training from 11am to 01:00pm. “The team is being accommodated at Mbale Resort hotel where they will stay until after the end of the match, continued Magero. On the situation regarding the players, Magero had this to say. “All the players are currently in good shape with no injuries to report about. 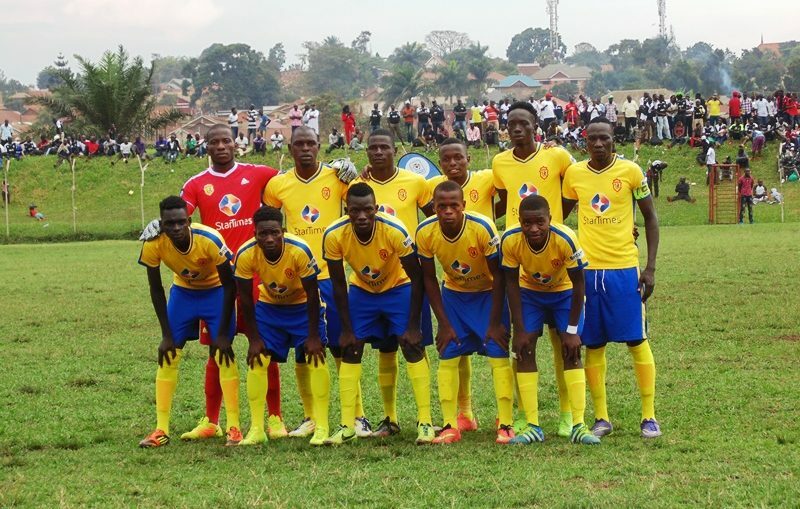 KCCA travelled with only 18 players with some notable names missing, including the striking duo of Muhammad Shaban and Derrick Nsibambi. Shaban has had consistent issues with head coach Mike Mutebi recently, ones that saw him miss the last three games of the Uganda Premier League season. For Nsibambi, he has been dropped days after completing his move to Egyptian side Smouha SC for which he will play for the next three years. It is believed that Mutebi is not sure about his mental state going into Saturday’s game. The other players missing on the list include left back Mustapha Kizza and injured midfielder Muzamir Mutyaba. KCCA will be hoping they win a record equaling 10th Uganda Cup on Saturday. With nine triumphs already, they seat one behind record winners Express FC. KCCA FC has only ever won it once, twice in a row and you would have to go back to 1980 for the one time they ever defended their crown. Tomas Ikara, Charles Lukwago, Jamil Maliyamungu. Filbert Obenchan, Denis Okot, Paul Musamali, Ssenjobe Eric, Timothy Awanyi, Habib Kavuma. Isaac Kirabira, Jackson Nunda, Ibrahim Saddam Juma, Wamana Ibrahim, Paul Mucureezi, Julius Poloto, Solomon Okwalinga.